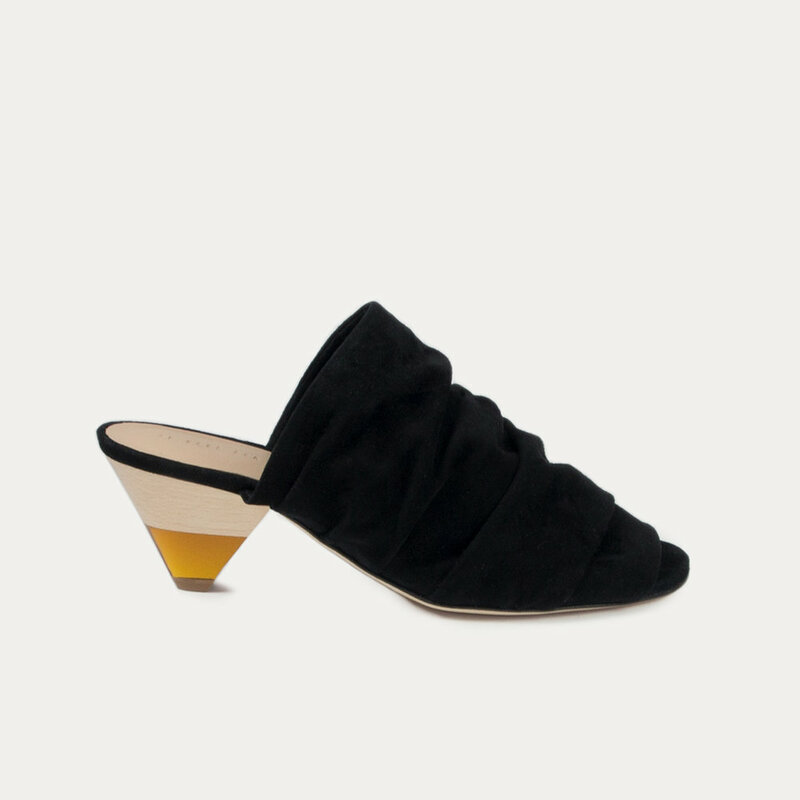 Slip into these mules and your feet will instantly feel like they are being hugged. But the best part is the bi-material heel! Half wood and half acrylic, with a specially designed cone shape. An absolute eye catcher.